This is the only town lying at the foot of the Langeberg. This is the only town lying at the foot of the Langeberg; Olifantshoek is a farming town close to two game ranches on the Namakwari Route..
Sesheng is located to the west of Kathu and was initially planned as, a high density residential area for mine workers, without families of any social structure. Notice is hereby given in terms of Section 49 (1) (a) (i) of the Local Government Municipal Property Rates Act 6 of 2004, as amended (Act No. 6 of 2004), hereinafter referred to as ‘the Act’, that the General Valuation Roll will be open for public inspection from 11 February 2019 until 12 March 2019 at the offices of Gamagara Local Municipality, Civic Center, Hendrik van Eck Road, Kathu during normal office hours. An invitation is hereby extended in terms of section 49(1) (a) (ii) of the Act that any owner of the property or other person who desires, should lodge an objection with the respective Municipal Manager in respect of any matter reflected in or omitted from the General Valuation Roll. Attention is specifically drawn to the fact that in terms of section 50(2) of the Act an objection must be in relation to a specific individual property and not against the valuation roll as such. The form for lodging an objection is obtainable at the Municipal offices, Kathu or on the Municipal website: www.gamagara.co.za. An objection fee of R320-40 [VAT included] per objection to be paid. The complete forms must be returned within the time period specified above to the Municipal offices, Kathu. Please note that no person shall be entitled to raise any objection before the valuation board unless his objection has been lodged before the due date on the prescribed form. Gamagara Local Municipality hereby invites tenders for the WATER RETICULATION NETWORK FOR DEVELOPMENT OF 1300 STANDS IN OLIFANTSHOEK: PHASE 1. It is estimated that prospective tenderers should have a CIDB contractor grading of 6CE or higher. Only tenderers who conform to the criteria stated in the Tender Data and Tender conditions are eligible to submit tenders. Tender documents will be available from Gamagara Municipality website, e-Tender portal site. Tender documents collection and enquiry can be directed to Mrs. Josephine Nampa at 053 7236000. No tender documents will be made available during the compulsory clarification meeting. A compulsory clarification meeting with representatives from the Employer will take place at the municipal offices of Gamagara Municipality in Kathu on Friday, 01 February 2019 starting at 10:00. Only tenderers who attend the clarification meetings shall be eligible to submit tenders. This tender will close on 01 March 2019 at 12:00. Completed tender documents, sealed in an envelope and clearly marked with “GM 2018/24 “WATER RETICULATION NETWORK FOR DEVELOPMENT OF 1300 STANDS IN OLIFANTSHOEK: PHASE 1” must be placed in the tender box in the foyer of Gamagara Local Municipality, corner Hendrik van Eck & Frikkie Meyer Road, Kathu, and no Tenders will be accepted after the closing time or per facsimile or per e-mail. 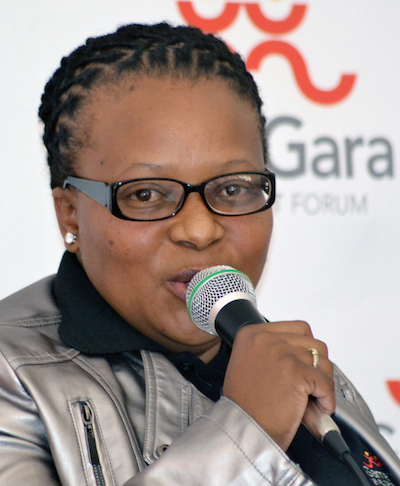 Gamagara Local Municipality does not bind itself to accept the lowest or any tender and reserves the right to accept the whole or part of a tender. All tenders will remain valid for a period of 90 days after the time and date of opening. This tender will be evaluated according to the 80/20 point system and the PPPFA. This tender will close on 07 December 2018 at 12:00. Completed tender documents, sealed in an envelope and clearly marked with “GM 2018/01 SUPPLY AND DELIVERY OF CHEMICALS FOR WATER AND WASTE WATER TREATMENT.” must be placed in the tender box in the foyer of Gamagara Local Municipality, corner Hendrik van Eck & Frikkie Meyer Road, Kathu, and no Tenders will be accepted after the closing time or per facsimile or per e-mail. Please Click Here to Download Bid Documents - Please note file size is 1.22MB and contains one file. Gamagara Local Municipality hereby invites tenders for the SUPPLY AND DELIVERY OF CHEMICALS FOR WATER AND WASTE WATER TREATMENT for a period of 36 months.Tender documents will be obtainable from the e-tender portal and on the municipal website (www.gamagara.gov.za) on Wednesday, 13 November 2018. Please Click Here to Download Bid Documents - Please note file size is 2.8MB and contains multiple files. This section cuts across two functions namely law enforcement and Licensing. The Law enforcement leg of the Section is responsible for Road policing, visible policing and overall Compliance. The licensing leg’s focus is in the administration of Driver’s and Vehicle licenses including vehicle testing for Roadworthiness. This Section is responsible for all Municipal Health Services as defined in National health act, 61 of 2003. These amongst others include Business Licensing, Business Inspections, complaints investigation, food control, compliance monitoring and promotion of health. It is also responsible for efficient waste management service and water quality management. Community Library & Information Services. This Section provides Community library and information Services that help develop and educate residents of Gamagara Area.The main Library is based in Kathu and others in Dingleton,Deben, Olifantshoek and Welgelee.